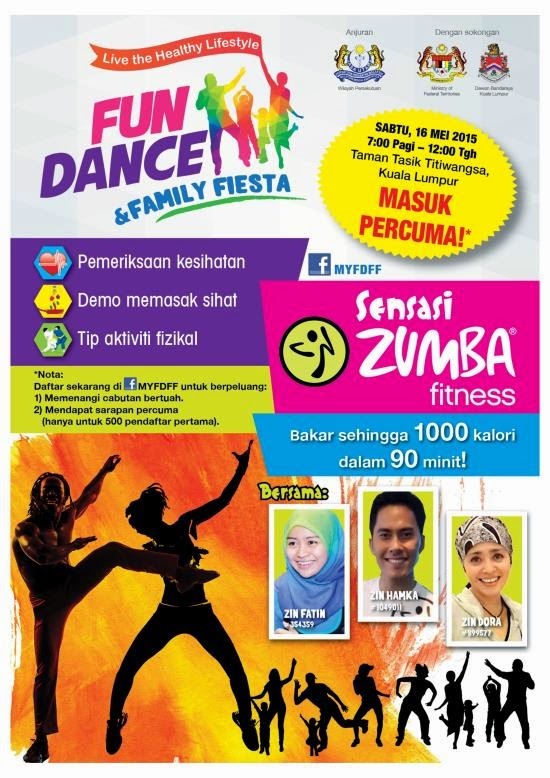 The event kicks-off with 90 minutes of non-stop Zumba® featuring Zumba Fitness®. Dance fans and families will also be able to join a mini dance competition, lucky draw, free health screenings, healthy cooking classes as well as participate in various dance and martial arts classes. Admission is free! Nevertheless, we encourage interested dance fans and families to register at https://www.facebook.com/MYFDFF for a chance at the lucky draw. The first 500 who register will also receive free breakfast. Visit Fun Dance & Family Fiesta facebook page for more details.